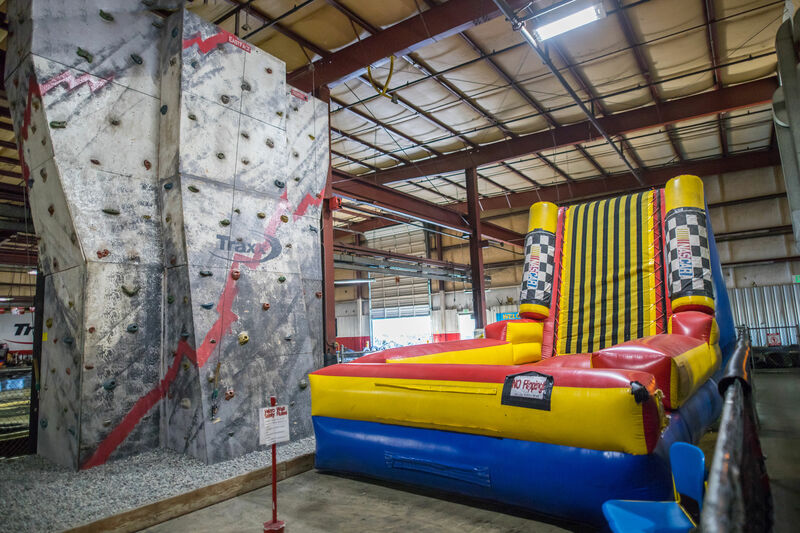 Climb our 24\' high climbing wall or launch & stick onto our Velcro Wall! Available for Ages 6 and up. Bounce fun for ages 3-10! Our upstairs kids track is oval-shaped and designed with safety in mind. 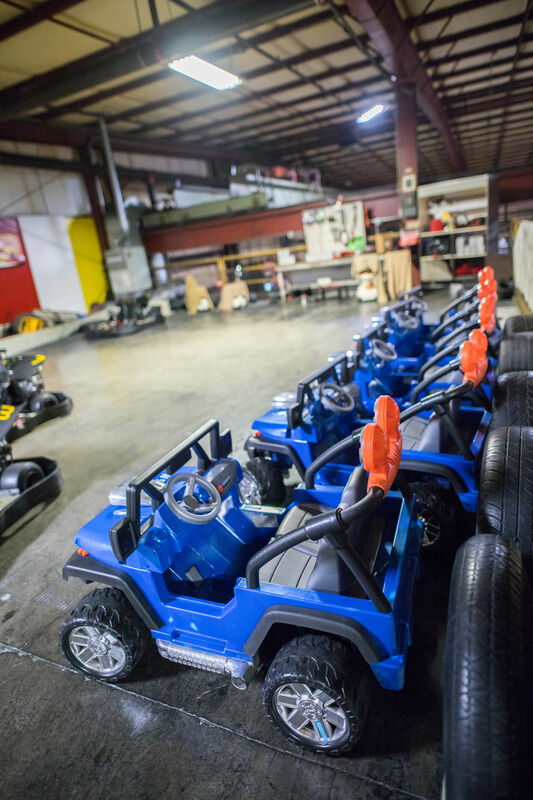 Ages 3-5 drive one of our battery-powered electric cars, capable of reaching 5mph. 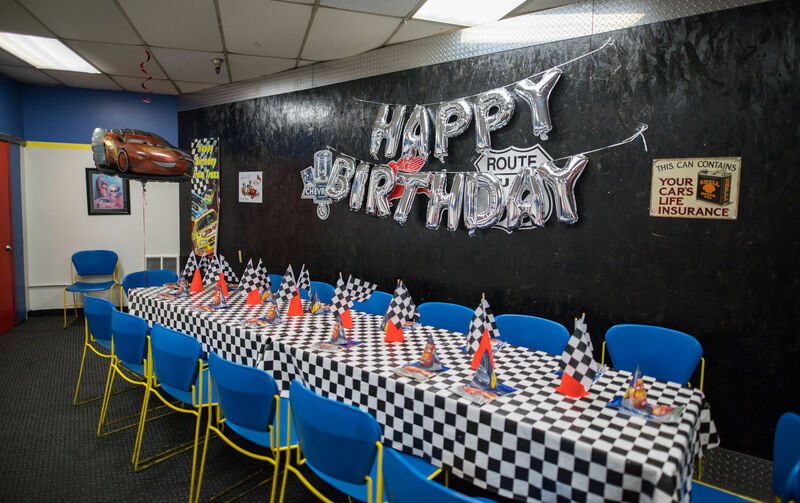 Rooms have a basic race-theme or, as shown, bring in your own decorations to add to the excitement! 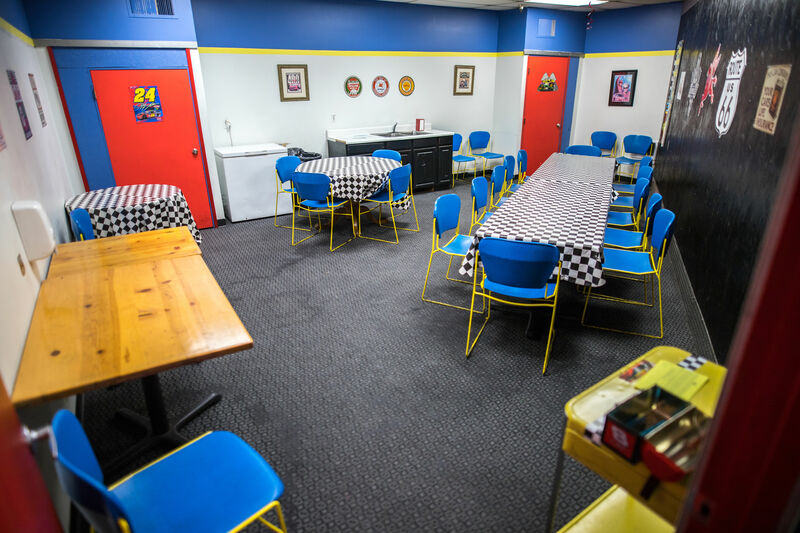 Free use of our upstairs video arcade is included with our upstairs Kids Karting party package! 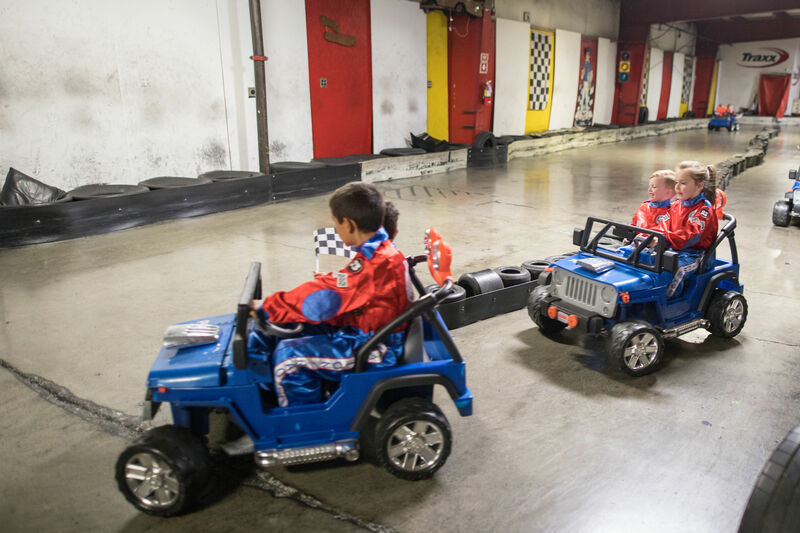 Kids ages 3-5 love to race each other! Our specially-designed kids gas karts are fun yet safe for kids ages 6-10. 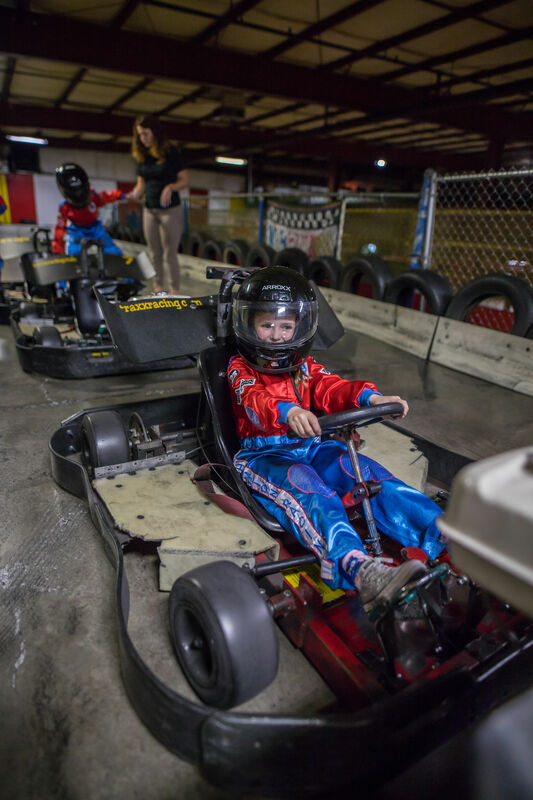 Kids ages 6-10 love racing our kids gas karts that get up to 8-10mph! Check out our NEW facility virtual tour here! Experience this Unique Opportunity for Kids 6-10 years old! Strap yourself into a Velcro Suit, get your highest bounce onto our 13′ high wall, and strike your best “spider” pose! Only $50 for 1/2 Hour with your party! 3 Safety Belay systems…Have fun rappelling back down! Change a tire like the pros! Use the air gun and see who can change the tire the fastest! Let ’em burn off some energy! A great party activity and gift! Kids love to color their own racing t-shirt. 8 colors to be creative with! All items are conveniently packed in a race-themed bag. Let us do the decorating…so you don’t have to! Cups, napkins, plates, and balloons. Only $20 to add-on to your party! Create your own sundae with 2 scoops of ice cream and choose from six colorful and fun toppings. $50 for 10 sundaes (additional cost for more). 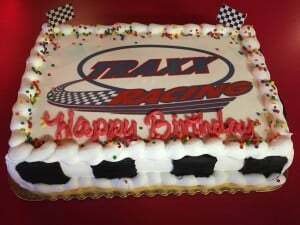 1/4 sheet cake from QFC with a checkered theme and Traxx logo…$40 Choose from white or chocolate cake and different icing/filling options. 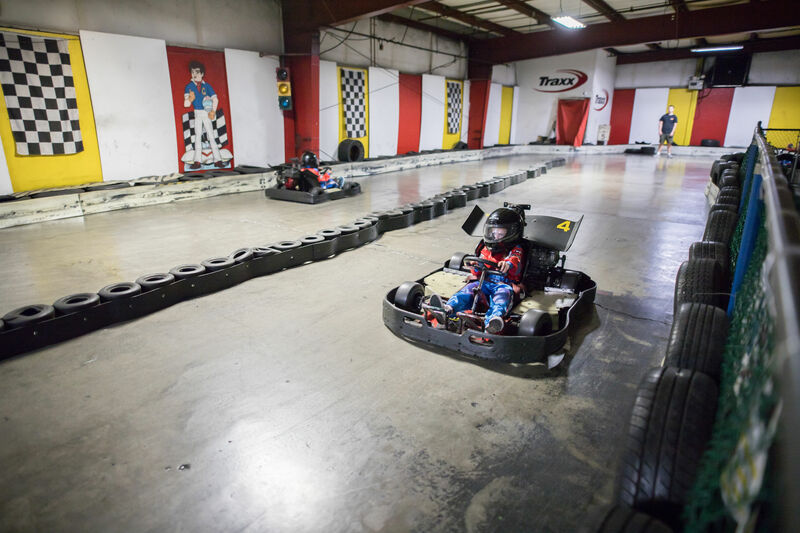 TRAXX Indoor Raceway has been serving the Northwest for over 15 years as the Seattle area’s original, most successful indoor karting facility. 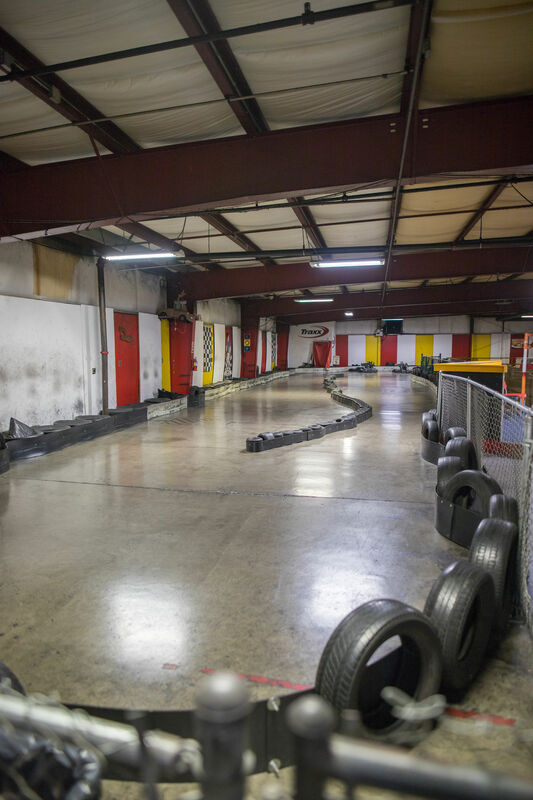 We strive to give you more…our laps are much longer and our facility features more than our competitors! Contact us via phone at 425-493-8729 or email us at info@traxxracing.com to get more information on how Traxx can serve your group’s party needs. Tired of selling knick-knacks that your group has to try to sell to their families or door-to-door? 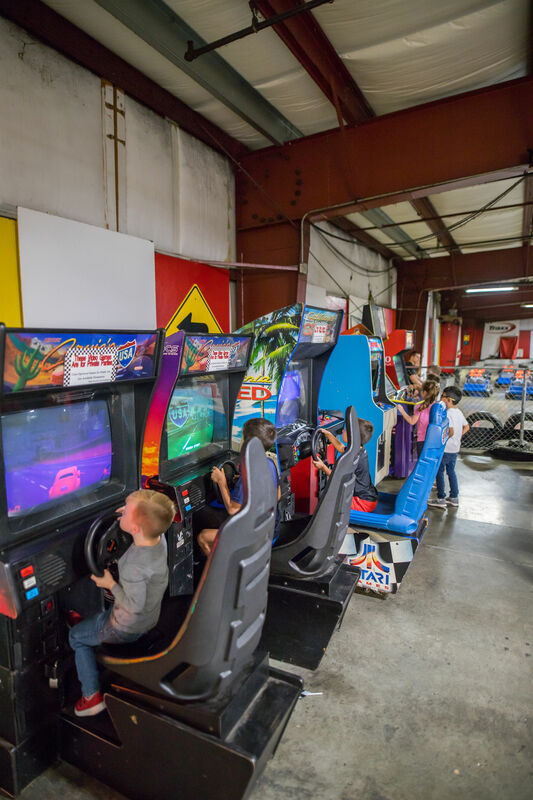 Why not have fun while fundraising at Traxx! 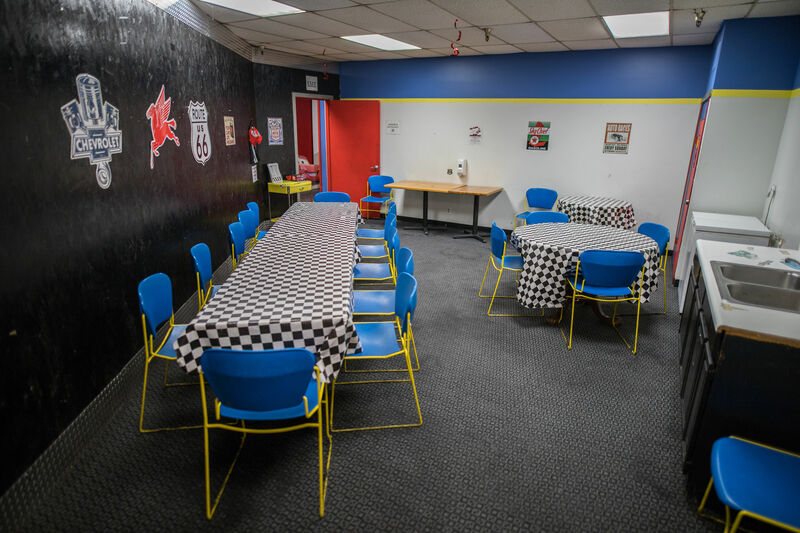 Traxx offers an exciting and unique way for your group to raise funds and let everyone have a good time. 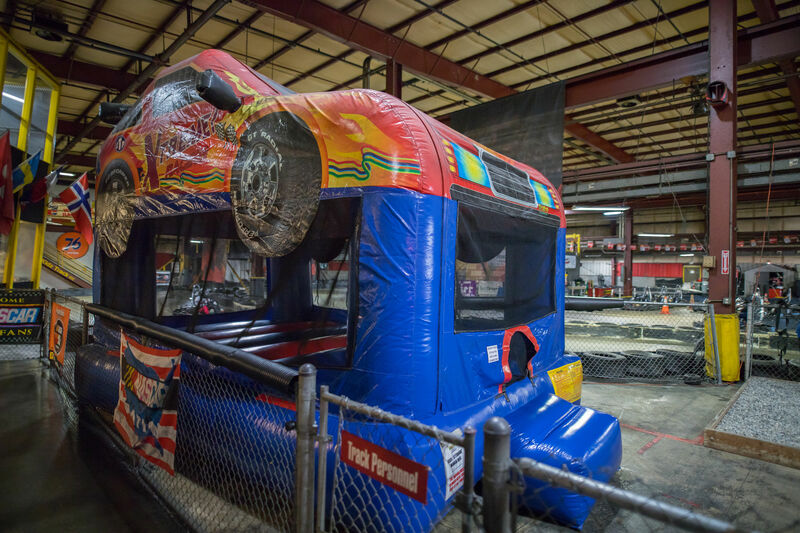 Your group can setup a fundraising day/night at Traxx and we will donate a percentage of all drives from your group back to you. The more money your group spends at Traxx, the higher percentage of funds we donate back to your group! Groups such as the band boosters and the American Cancer Society have all been successful at raising funds with Traxx for their group. Contact us via phone at 425-493-8729 or email us at info@traxxracing.com to get more information on how Traxx can help your group raise money! Group Events typically require a minimum of 8 drivers. Completion of the reservation form does not guarantee your reservation. We will contact you via phone or e-mail within 24 to 48 hours with more information.